Food, games, worship, and fellowship are all elements that could take place in an evening. Feel free to come for dinner at 5:30pm (during the school year), $1 donation. We meet every Sunday during the school year and walk through the Covenant Confirmation material together. This is a great class to solidify what you believe to be true about God and His Word. Food, fellowship and Jesus every Sunday during the school year. We’re working with Youth Works to serve the Blackfeet Nation Indian Reservation. The trip will combine service through work and leading a vacation bible school program with learning about Native American culture. The trip will be capped by a night hike at Black Elk Peak in the Black Hills of South Dakota to start and a day at Glacier National Park to end. We’ll depart from the church on Friday, July 12 and will return Sunday, July 21. The cost of the trip is $525 before any fundraising (plus a few meals on the road). Don’t miss out on an unforgettable, spiritual, high-energy three day adventure. ​More details to come soon. Sign up for Youth Ministry Texts! 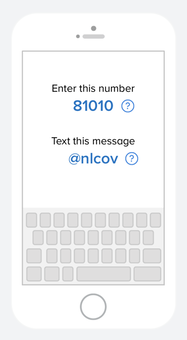 The Youth Ministry at NLECC uses the "Remind" group texting app. Please follow the instructions below to receive text updates.